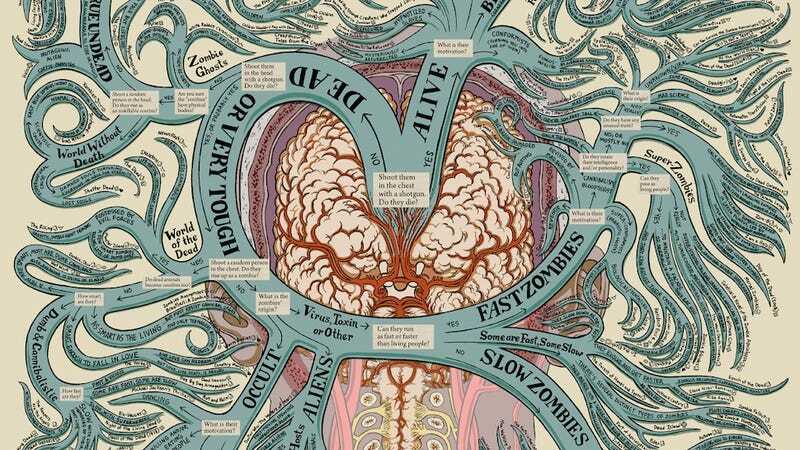 While most attempts to classify the different types of zombies limit their analysis to fast vs. slow, alive vs. dead, Jason Thompson's massive zombie taxonomy map goes far beyond that, cataloguing more than 350 different types of zombie. Thompson is also offering 24"x36" posters of his zombie map through Kickstarter (it should be noted that he's still refining it), and the campaign is running for just a few more days. Keep it as a handy reference in case of the zombie apocalypse.